Tom and Lorena are the type of people that instantly make you smile after being around them and believe me or not – nothing can beat a happy couple genuinely excited to get married to each other! Their wedding took place at Markree Castle, a well-known wedding venue located just outside Sligo. They celebrated with an outdoor ceremony in the beautiful gardens, and the weather was just perfect! Lorena is from Peru and her Peruvian heritage was a huge part of the day (I just loved a traditional Peruvian ‘’crazy hour’’ halfway through the reception! ), perfectly mixed with traditions of Tom’s family. They both from United States but Tom’s grandparents were from Ireland, which always had a special place in their hearts. That’s why couple decided to come back here for their wedding along with all the family from US, who could come back to country they love to celebrate such a special occasion. No words needed. There were so many special touches throughout the day, … guys, this wedding was just so much fun to be a part of! Hope you’ll enjoy it! 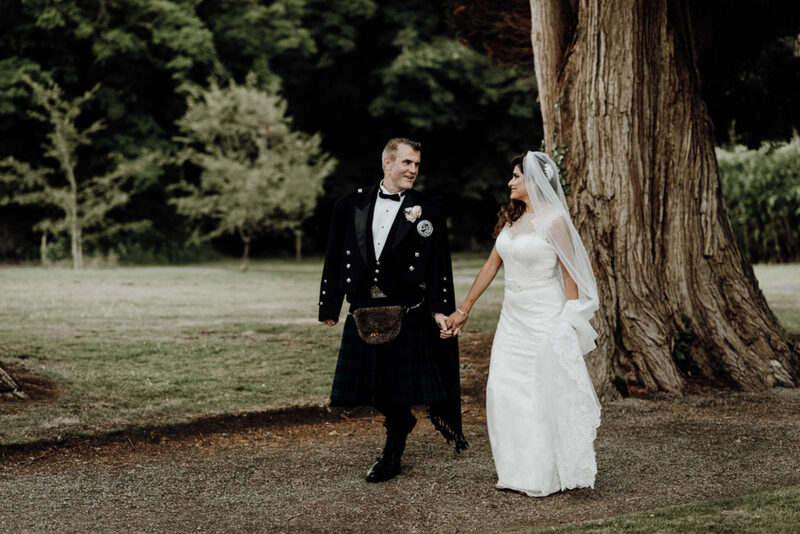 This gallery presents photos that are generally about event, ceremony, groom, wedding, girl, photograph, bride, tradition, fun, bridal clothing	in Markree Castle.